SOLD OUT! Unfortunately, there are no seats left at this event. 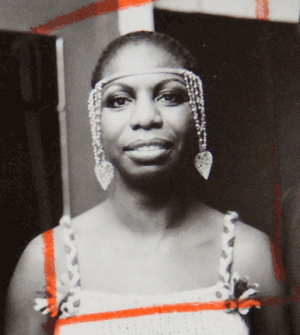 The Amazing Nina Simone will open in New York City next Week. Before the film there will be a musical tribute to Nina Simone by Nina’s brother and Music Director, Jazz/Blues legend Sam Waymon, and his band. Tickets are $20, or $17 for Rivertown Members. Please make your reservations in advance. Meet the Filmmaker: Director Jeff L. Lieberman together with Nina’s brother and musical director, Sam Waymon, with be present to discuss the film. The discussion will be moderated by attorney and playright Alice Crowe. Post event reception: Cash bar at Spice of India, 125 Main Street in Nyack, after this event. THE AMAZING NINA SIMONE OPENS IN NEW YORK AND LOS ANGELES ON OCTOBER 16. OPENS IN 16 THEATERS NATIONWIDE ON OCTOBER 23.